!quote, tss, slipperclutches, yzfr3, r3, 15, 16, 17, 18, 19, 20, 2015, 2016, 2017, 2018, 2019, 2020! !tss, slipperclutches, 89, 90, 91, 92, 93, 94, 95, 1989, 1990, 1991, 1992, 1993, 1994, 1995! !tss, slipperclutches, 08, 09, 10, 11, 12, 13, 14, 15, 16, 17, 18, 2008, 2009, 2010, 2011, 2012, 2013, 2014, 2015, 2016, 2017, 2018! !tss, slipperclutches, 04, 05, 06, 07, 2004, 2005, 2006, 2007! Much smoother action than the grabby original Yamaha item. Also 500g lighter than standard - has the same effect as lightening the crankshaft but still within Supersport regulations. !tss, slipperclutches, yzf-r6, r6, 06, 07, 08, 09, 2006, 2007, 2008, 2009! 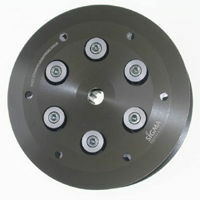 !quote, tss, slipperclutches, yzf-r6, r6, 99, 00, 01, 02, 03, 04, 05, 1999, 2000, 2001, 2002, 2003, 2004, 2005! 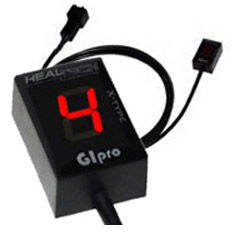 Added this to my 2005 R6 - takes away all the concentrating on blipping / downshifting , go down 1 or 2 gears without thinking about the back wheel, you are free to concentrate on your corner entry. Expensive at first - but well worth it in the long run. !tss, slipperclutches, xt660xr, xt660r, 04, 05, 06, 07, 08, 2004, 2005, 2006, 2007, 2008! !tss, slipperclutches, 1983, 1984, 1985, 1986, 1987, 1988, 1989, 1990, 1991, 1992, 1993, 1994, 1995, 1996, 1997, 1998, 1999, 2000, 2001, 2002, 2003, 2004! !tss, slipperclutches, 01, 02, 03, 04, 05, 06, 07, 08, 09, 10, 11, 2001, 2002, 2003, 2004, 2005, 2006, 2007, 2008, 2009, 2010, 2011! 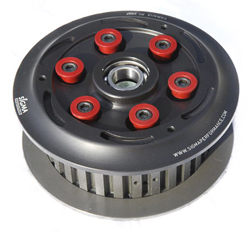 !tss, slipperclutches, mt07, mt, 07, fz07, fz-07, fz, 07, 689, 13, 14, 15, 16, 17, 18, 19, 20, 2013, 2014, 2015, 2016, 2017, 2018, 2019, 2020! !tss, slipperclutches, fz, 750, 87, 88, 89, 90, 1987, 1988, 1989, 1990! !tss, slipperclutches, fzr-750, fzr, 750, 89, 90, 1989, 1990! !tss, slipperclutches, fzr-750, fzr, 750, fzr-1000, 1000, 87, 88, 1987, 1988! 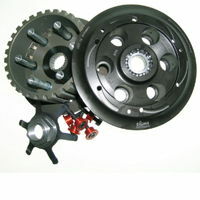 !tss, slipperclutches, yzf, 750, yzf-750, yzf750r, yzf750sp, 750, sp, 93, 94, 95, 96, 97, 98, 99, 00, 1993, 1994, 1995, 1996, 1997, 1998, 1999, 2000! !tss, slipperclutches, mt09, mt, 09, fj09, fj-09, fz, 09, 847, 13, 14, 15, 16, 17, 18, 19, 20, 2013, 2014, 2015, 2016, 2017, 2018, 2019, 2020! !tss, slipperclutches, tdm, 850, 91, 92, 93, 94, 95, 96, 97, 98, 99, 00, 01, 1991, 1992, 1993, 1994, 1995, 1996, 1997, 1998, 1999, 2000, 2001! !tss, slipperclutches, tdm, 900, 02, 03, 04, 05, 06, 07, 08, 09, 10, 11, 2002, 2003, 2004, 2005, 2006, 2007, 2008, 2009, 2010, 2011! !tss, slipperclutches, 2006, 2007,2008, 2009, 2010, 2011, 06, 07, 08, 09, 10, 11, naked, faired, fz1x! 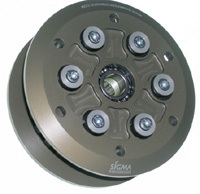 !tss, slipperclutches, fzr-1000, 1000, 91, 92, 93, 94, 95, 96, 1991, 1992, 1993, 1994, 1995, 1996! !tss, slipperclutches, fzr-1000, 1000, 89, 90, 1989, 1990! 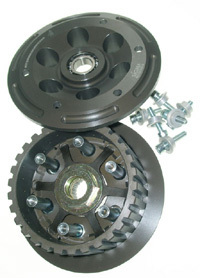 !tss, slipperclutches, thunder, ace, yzf-1000, yzf, 1000, 96, 97, 98, 99, 00, 01, 02, 1996, 1997, 1998, 1999, 2000, 2001, 2002! 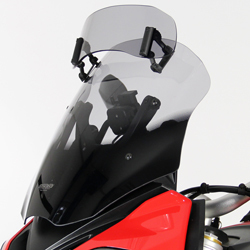 This unit overcomes the standard bikes Slipper/Gripper clutch re-engagement tendency to generate a noticeable destabilising mid-corner jerk when transitioning from closed to open throttle. 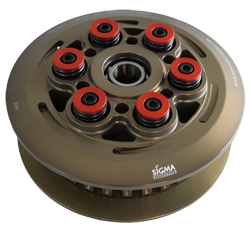 Heavy duty springs are included (with a revised actuating arm to minimise the effect on feel at the lever) along with two additional plates to assist in setting the correct pack thickness. 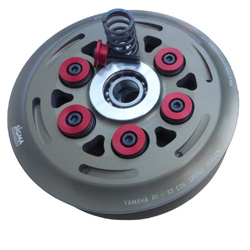 !tss, slipperclutches, r1, yzf-r1, yzf-r1m, r1m, yzfr1m, 15, 16, 17, 18, 19, 20, 2015, 2016, 2017, 2018, 2019, 2020! !tss, slipperclutches, r1, yzf-r1, 09, 10, 11, 12, 13, 14, 2009, 2010, 2011, 2012, 2013, 2014! !tss, slipperclutches, r1, yzf-r1, 07, 08, 2007, 2008! !tss, slipperclutches, r1, yzf-r1, 06, 2006! !tss, slipperclutches, yzf-r1, 2004, 2005, 04, 05! !tss, slipperclutches, yzf-r1, 98, 99, 00, 01, 02, 03, 1998,, 1999, 2000, 2001, 2002, 2003! !tss, slipperclutches, 84, 85, 86, 87, 88, 89, 90, 91, 92, 93, 94, 95, 96, 1984, 1985, 1986, 1987, 1988, 1989, 1990, 1991, 1992, 1993, 1994, 1995, 1996! 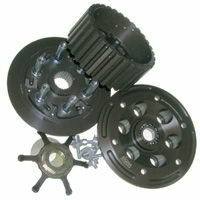 !tss, slipperclutches, 95, 96, 97, 98, 99, 00, 01, 02, 03, 04, 05, 06, 07, 08, 09, 10, 11, 1995, 1996, 1997, 1998, 1999, 2000, 2001, 2002, 2003, 2004, 2005, 2006, 2007, 2008, 2009, 2010, 2011!